Legal translation services by qualified translators are in demand today. The world is becoming smaller every day. With globalization bringing humanity closer together through trade and communication, many opportunities have begun to spring up for translation services. Ever the champion of diversity, the United States is the perfect example of a truly unique melting pot of races and cultures that speak a variety of languages. If you have mastered full fluency in a foreign tongue or two, there are many career paths open to you. The United States, as well as the rest of the world, is changing at a rapid pace and the need for translation services are greater than ever. Let’s take a look at some of the career opportunities in this ever expanding field. The translation and interpretation industry has seen a boom in individuals hired in the past seven years. According to the Bureau of Labor Statistics, it’s projected that by the year 2024, the employment forecast for those in the translation industry will increase by 29 percent. Translators looking for a bigger salary should be aware of one thing — the more difficult the language, the bigger the paycheck. Six figure earners tend to be those who have mastered the more complex languages, such as Mandarin Chinese, Korean, Japanese, Persian, Arabic, Turkish, Hebrew, Bengali. Large companies such as Netflix, Microsoft, and Honda, to name a few, are always looking for translators and interpreters. This is due to the exponential amount of content available for consumption. And with so many customers from around the world consuming the content and services provided by these major companies, the need for translators and interpreters is high. Here are a few facts about the translation industry and its boom over the past several years. One of the more appealing features about working as a translator are the working conditions. Working as a freelance translator allows you greater flexibility than working a traditional 9 to 5 job. Those who are independent and not interested in answering to a boss will especially find this appealing. You can take on any job that you are suited for and can move on whenever you please. You will also be provided with the opportunity to build a series of connections and international contacts as you work with various clients around the world. Another benefit of working as a translator is your ability to create your own schedule. You can work as often or as little as you like. Thus, if you meet your monthly financial goals, you can take a break for the rest of the month if you so desire. The beauty of working at home in today’s modern society is that the internet makes it entirely possible to make a handsome income right from the comfort of your couch. Of course, this will require discipline as you will still be bound by commitments and deadlines, but you can still make a good living with just a laptop and an internet connection. One of the biggest appeals of working as a translator is the potential to make a large sum of money. As the world continues to globalize, the demand for professional translators will only continue to increase. Companies are willing to pay large sums of money to get their hands on a translator that knows what they’re doing. Areas such as diplomacy, business, and politics are especially known for paying their translators well. You should be aware of the working conditions you can come to expect whether you work in a call center, at home, or in a translation office. American Translators Association (ATA) — ATA is a professional association founded to advance the translation and interpreting professions and foster the professional development of individual translators and interpreters. ATA offers a certification exam that allows translators to demonstrate that they meet certain standards of the translation profession. Its over 10,000 members in more than more than 100 countries include translators, interpreters, teachers, project managers, web and software developers, language company owners, hospitals, universities, and government agencies. The Certification Commission for Healthcare Interpreters (CCHI) — CCHI also operates in the mental healthcare space and aids in connecting such facilities with translators and/or interpreters. National Board of Certification for Medical Interpreters — this national board specializes in training and certifying agencies and its personnel for interpreter and/or translator services. TermiumPlus — TermiumPlus is the linguistic data bank that belongs to the Canadian government. Whether you’re Canadian or not, you can still access this databank to look for terminology in French, English, some Spanish, and some Portuguese. WordReference — Launched in 1999, WordReference is one of the largest web dictionaries on the internet. It provides translations and definitions for dozens of languages and an excellent resource for any translator. InterActive Terminology for Europe (IATE) — IATE is a fantastic terminology database and is very easy to use. Simply choose your source language and type in your search term. The first three letters will reveal a list of suggestions. This is a great resource for translators who may be stuck while researching for a word or phrase. When providing legal translation services it is crucial that legal translators get the complex terms and ideas being exactly right. Certain legal terminology might contain concepts and phrases that are true in one language but different in another. 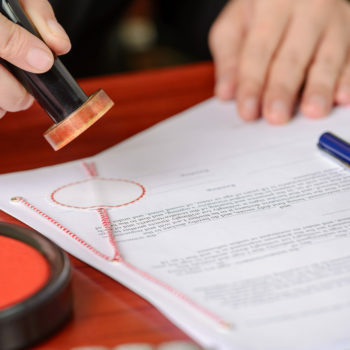 Errors are not acceptable in any translation, but legal documents are especially sensitive and need to be properly translated to avoid outcomes with an extreme adverse affect on the parties involved. The U.S. Bureau of Labor Statistics reports that translating a high-demand language, or one for which there are not many translators can increase your income. The prospects in a career as a translator are looking good. Translation industry is growing exponentially. That puts careers in translation in the top 15 of the fastest growing careers in the U.S. The human element involved in understanding and communicating the nuance of language, as well as understanding the culture behind it, means that this profession will not be going away anytime soon. As technology brings the world closer together, the people living in it will need to communicate with each other more and more. And qualified translators will be necessary to make that happen in business and in legal translation services.